Hi everyone and welcome. Over at the Frilly and Funkie Challenge blog we are at the beginning of a new challenge, 'All Creatures Great and Small'. This challenge is hosted by Maggi Harding; "I've chosen one of my favorite subjects as the focus of this challenge, animals. They delight us in so many ways; perhaps a trip to the zoo with the kids has made you smile. Maybe you have fur-babies that are a big part of your life. My fur-babies are my children and hold the top spot in the hierarchy of my home! For this challenge, create a vintage or shabby chic project that is centered around animals. It could be your pets or a vintage photo. Could be an animal you fear, spiders anyone??? Eeeek!!!! No humans please, just animals on your project, otherwise anything goes." 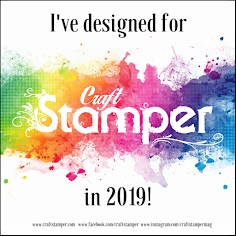 As ever, the Design Team will choose their top four picks, with the winner being invited to join us in a Guest DT spot at Frilly and Funkie and the next three will receive Top 3 badges to display on their blogs. Everyone who enters and follows the rules will be entered into the draw to have the chance to win a $25 spending spree at The Funkie Junkie Boutique. 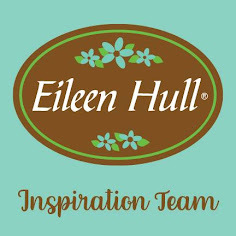 After using various shades of brown Distress Paint in layers on this Etcetera Tag I scraped Texture Paste over the surface to give it a faded and uneven finish. When dry I used Watering Can Archival Ink and the Ledger Script stamps to apply patterning across it. The same approach was taken with layers of paint over the mini frame but this time I used White Gesso to replicate the faded paste look. Still trying to figure out how to incorporate animals into this, I spied the roll of Aviary Collage Paper and a plan was formed; using Distress Collage Medium a piece of the Paper was applied to the surface of the tag. After stencilling Opaque Crackle Paste above, by the side and below the paper, dribbles of Weathered Wood Distress Paint and Mushroom Alcohol Ink were encouraged to run across the stencilled areas with spritzed water. With the Collage Paper, stencilled paste and paint/ink dribbles all dry it was time to fix the frame in place with more Distress Collage Medium. This stuff when dry holds pretty much anything together, even managing to attach the metal Ribbon embellishment securely at the top of the frame. To replicate the small blossom flowers, buds, leaves and branches seen on the paper I used Classic Kraft Stock and Funky Floral dies. The dimension they added meant the birds were in danger of becoming swamped so I took the same images and applied them to plain white cardstock so they could be fussy cut and mounted over the originals. A Quote Token with a very appropriate phrase completed the tag. 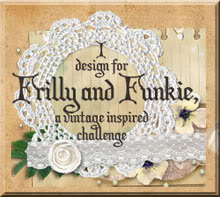 That's it for my animal themed project for the current Frilly and Funkie challenge. My talented team mates have created lots more amazing projects for this challenge so make sure you hop on over and check them out HERE. And remember to link up your own shabby chic or vintage entries featuring animals to be in with a chance of winning one of the fabulous prizes. As always, your design is impeccable; it has just the right amount of "shabby" and "chic" to appeal to everyone! I love the way the "funky florals" were manipulated to create a "new" flower shape. The color of the backgrounds are very understated and beautiful and allow the central focus to stand out. Gorgeous! Beautiful! I love how romantic this tag feels with the soft serene blue tones behind the charming birds! Lovely tag! Jenny - thus absolutely breathtaking - your use of color & texture wonderful and those delightful birds add & unexpected surprise. You are so gifted as a designer! This is a new favorite for me, Jenny! I love the washed wood background as it makes those sweet birds just pop out of the frame. They actually look dimensional, which is amazing. I spent quite a few minutes just drinking in your beautiful background. You have a gift, and I am so glad you share it so generously with all of us! Hugs! beautiful project Jenny - I love that the leaves cross the border of the frame! Fabulous. I love the layers and the dimension. The neutral background make the colourful birds pop. This is really beautiful, Jenny! I love the distressed background and frame, and those decoupaged birds look fabulous with the dimension you gave them. Gorgeous design, as always! Hugs!